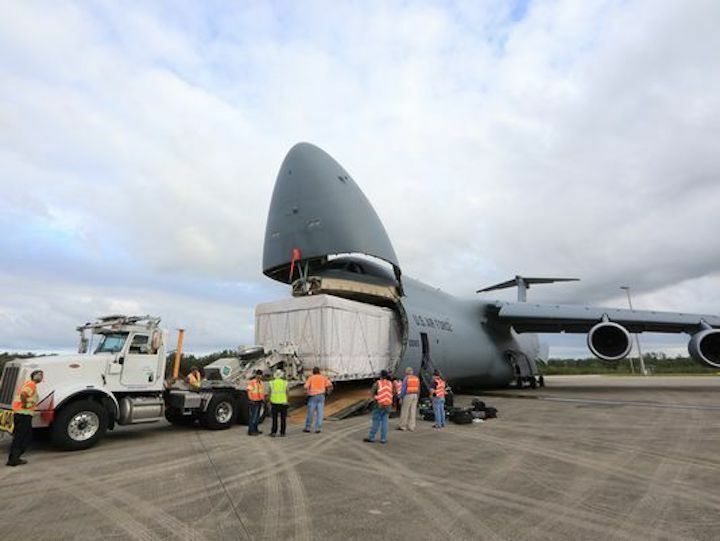 On Dec. 5, 2017, NOAA's Geostationary Operational Environmental Satellite-S (GOES-S) was offloaded from a U.S. Air Force C-5M Super Galaxy cargo aircraft onto the flatbed of a heavy-lift truck at the Shuttle Landing Facility at NASA's Kennedy Space Center. The satellite launched March 1, 2018, aboard a United Launch Alliance Atlas V rocket from Cape Canaveral Air Force Station. 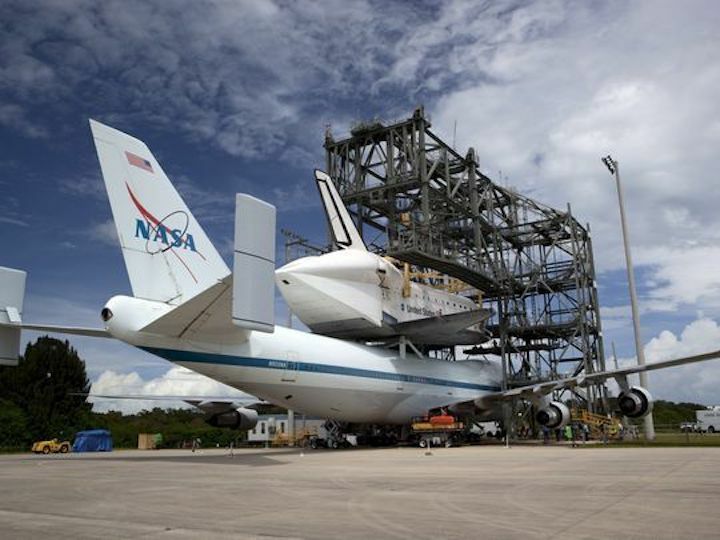 NASA in 2015 selected Space Florida to operate and maintain the three-mile concrete runway, which the space agency no longer needed after the shuttle program’s retirement in 2011. 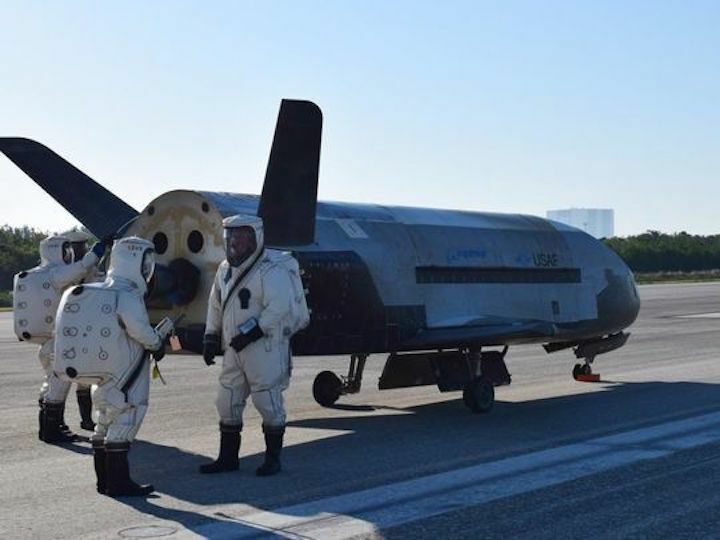 Space-related missions since then have been limited to last year’s landing of the Air Force’s X-37B space plane. But a variety of aircraft still visit the special-purpose runway, from planes transporting satellites or other flight hardware to NASA astronauts in T-38 training jets. 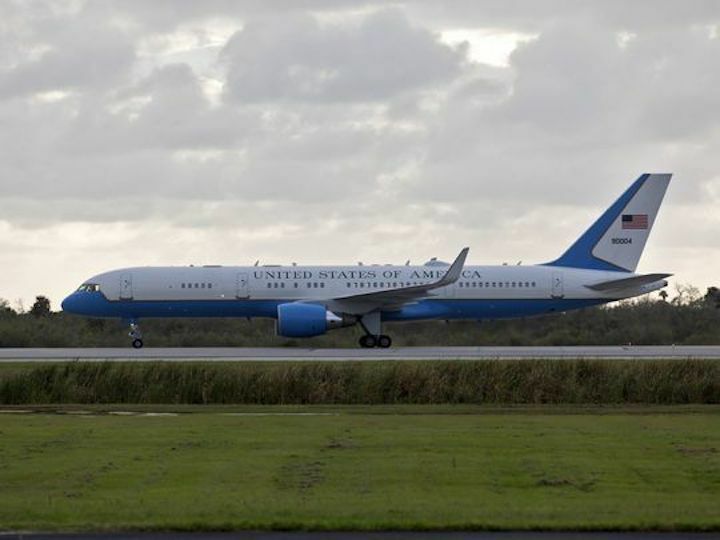 Last month, Vice President Mike Pence touched down in Air Force Two to attend a National Space Council meeting at the spaceport. The state eventually hopes to attract companies involved in "horizontal launch" of space missions, where satellites or astronauts would be launched at altitude by a plane that takes off and lands at the runway. Potential examples include Virgin Orbit or Stratolaunch Systems. Space Florida already had approval to buy up to 100,000 gallons of jet fuel, delivered as needed by tankers. Haug said the agency determined it was time for a longer-term solution. “Demand has not only exceeded our predictions, the use of and services provided at the Launch/Landing Facility appears to be growing at an accelerated rate,” he said. Space Florida is finalizing negotiations with Rush Construction of Titusville to do the work. The fuel farm will be located at the former site of NASA’s Mate/Demate Device — a gantry that was used to lift orbiters on or off the 747 Shuttle Carrier Aircraft during ferry flights.The gantry was torn down in 2014. Board member Jason Steele asked Space Florida managers if they had considered the risk of a fueling accident or terrorist attack at the runway. “We do take into account the kinds of concerns you’re raising, not just for today, but for the tenants that we really hope to have there 10 years from now,” said CEO Frank DiBello. A $400,000, five-year bridge loan to BoMax Hydrogen, a tenant in the state’s Space Life Sciences Lab at KSC’s Exploration Park. A $500,000 upgrade of the lightning protection system at Launch Complex 46 in preparation for a 2019 test of the in-flight abort system on NASA's Orion crew capsule. Ivey's Construction of Merritt Island will do the work funded by the Florida Department of Transportation. DiBello reviewed the $18.5 million in funding the state Legislature gave Space Florida for its next budget year starting Oct. 1, 2018. That includes a $12.5 million operating budget and $6 million financing fund to attract new business — $1 million less than Space Florida received this year and had sought again. "We can and will do very well with the funding that we did receive," said DiBello.